Michael’s practice covers judicial review, competition law (EU and UK), public procurement, freedom of information, sports law and general commercial law. He regularly appears in the High Court, the Competition Appeal Tribunal, the Upper Tribunal, and the Court of Appeal, and he recently appeared in the Supreme Court in one of the most high profile public law cases of 2018, R (DA and Others) v Secretary of State for Work and Pensions (benefit cap). Michael has substantial experience as sole counsel, but is equally happy working as part of a counsel team. Michael prides himself on the diversity of his practice: he regularly acts for both claimants and defendants, with clients ranging from major international businesses and central government departments to charities and individuals in receipt of legal aid. He is a member of the Attorney-General’s “C-Panel”. He is also happy to accept pro bono instructions in suitable cases. Before qualifying as a barrister, Michael read Philosophy, Politics and Economics at Balliol College, Oxford, where he received the top mark in the University in Philosophy finals, and the 4th highest overall mark in the University. He then worked as a parliamentary researcher and caseworker in the House of Commons before completing his GDL (with Distinction) and BPTC (Outstanding, ranked 5th in year) at City University, London. Michael undertakes a broad range of public law and judicial review work, including cases with a commercial/EU law focus. His cases in this area often raise human rights and EqualityAct issues. He regularly appears as sole counsel in the Administrative Court and Upper Tribunal, with a particular focus on discrimination claims, Children Act cases, age assessments, community care, education and asylum/ immigration cases (including unlawful detention claims). He also often acts as junior counsel in major policy challenges to primary and secondary legislation, both at first instance and on appeal. He is happy to take on legal aid work, and to act on urgent cases at short notice. R (DA and Others) v Secretary of State for Work and Pensions. Acting (as junior counsel to Ian Wise QC and Caoilfhionn Gallagher QC) for the Claimants throughout this high-profile Article 14 challenge to the government’s “benefit cap” legislation. The case was heard before a 7-member panel of the Supreme Court in July 2018, with judgment awaited. R (T and Others) v Secretary of State for Education. Acting (as junior counsel to Ian Wise QC) for the Claimants in an Article 14 challenge to the Secretary of State for Education’s flagship policy which provides 30 hours’ free childcare to the children of working parents only. The case was heard in the Administrative Court in July 2018 (Lewis J), with judgment awaited. R (Z) v Agudas Israel Housing Association Limited & LB Hackney. Acting (as junior counsel to Ian Wise QC) for the Claimants in a discrimination challenge to a housing association’s practice of letting properties only to members of the Orthodox Jewish community. The case has been listed for hearing before the Divisional Court in November 2018. Liberty v Secretary of State for the Home Department. Acting (as junior counsel to James Eadie QC, Daniel Beard QC and Gerry Facenna QC) for the Home Office in Liberty’s ongoing EU law / ECHR challenge to the Investigatory Powers Act 2016 (which follows the Watson litigation in the High Court and the Court of Justice). AA v Secretary of State for the Home Department. Acting for the Claimant in a landmark unlawful detention claim raising novel issues concerning the Secretary of State’s powers to detain children under the Immigration Act 1971. Michael won the substantive hearing on liability (appearing unled and against a silk): see  EWHC 1453 (Admin). Michael was subsequently led by Ian Wise QC in the Court of Appeal, again successfully: see  EWCA Civ 138. E v London Borough of Islington. Acting (as junior to Ian Wise QC) for the Claimant in the first ever successful damages claim based on a contravention of the right to education under Article 2 Protocol 1 of the ECHR: see  EWHC 1440 (Admin). easyBus v Stansted Airport Limited. Acting (as junior to Paul Harris QC) in successfully defending commercial judicial review proceedings brought by a bus company in respect of an airport operator’s use of bye-laws to control access to airport premises). R(C) v London Borough of Islington. Acting (as junior to Ian Wise QC) for the claimant in a successful challenge to a local authority’s allocation scheme for social housing, alleging breach of the reasonable preference duty in Part VI of the Housing Act 1996, as well as unlawful discrimination under the ECHR and the Equality Act 2010. Michael’s competition law practice covers litigation and advisory work across the full spectrum of EU and UK competition law, with a particular emphasis on standalone and follow-oncartel damages claims and private abuse of dominance claims. Trucks. Acting as junior counsel for a major European trucks OEM in relation to myriad claims before the English Courts, including claims before the CAT under the new collective proceedings regime in section 47B of the Competition Act 1998. Air cargo. Acting (as junior counsel to Jon Turner QC) for British Airways in relation to the “air cargo” damages claims in the Chancery Division. Power cables. Acting (as junior counsel to Marie Demetriou QC) for the “NKT” defendants in relation to damages claims brought by various parties in the Chancery Division following the European Commission’s Power Cables cartel decision. Acting for the successful defendant in Dorothy Gibson v Pride, the first claim brought in the Competition Appeal Tribunal under the new collective proceedings regime introduced by the Consumer Rights Act 2015. Acting for the successful claimant in a private abuse of dominance claim, culminating in a three-week trial in the Chancery Division: Arriva The Shires Ltd -v- London Luton Airport Operations Limited  EWHC 64 (Ch). 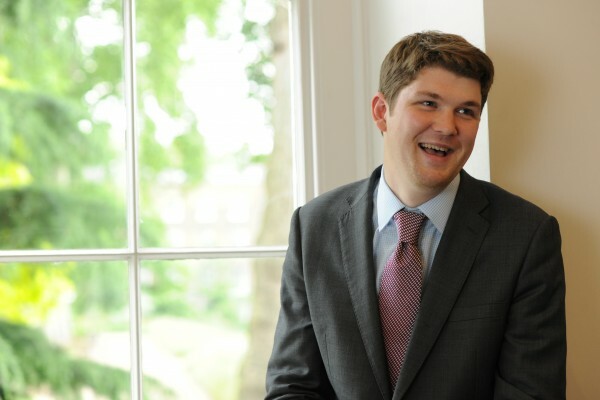 Michael regularly publishes articles on competition law (see “Publications” below), and is currently taking the King’s College London Diploma in Economics and Competition Law. NPg / British Gas v OFGEM: Michael advised the Competition and Markets Authority in its determination of the first appeals against an Ofgem price control under section 11C of the Electricity Act. OFGEM v SSE Energy Supply Limited: Michael was instructed (as junior to Daniel Beard QC) by the Gas and Electricity Markets Authority in a mis-selling case which resulted in the largest fine ever imposed by OFGEM, and which attracted significant media coverage. Advising the Department of Business, Innovation and Skills on its proposals for reform of the appeals system in the telecoms sector. Acting for the Ministry of Defence in a challenge to the procurement process for a major global logistics contract: see MLS (Overseas) Ltd v MoD  EWHC 3389 (TCC). Michael was junior counsel for the MoD in this High Court trial, and conducted the cross-examination of one of the claimant’s key witnesses. Appearing as sole counsel for a domestic abuse charity in a “suspension” hearing in the Mercantile Court. Acting for two central government departments in connection with a long-running damages claim arising from a terminated procurement for “search and rescue” helicopters. Appearing as sole counsel for a local residents’ association in a two-day appeal in the First-Tier Tribunal: Royal Borough of Greenwich v ICO and Brownie. The case involved cross- examination of a number of witnesses as well as detailed legal submissions, and resulted in the Tribunal ordering full disclosure of all information requested by Michael’s client. In light of his success in the Greenwich case, Michael was instructed to act for another requester in an appeal involving disclosure of a viability assessment (Perry v ICO and Hackney), in which Michael successfully obtained full disclosure prior to the final hearing. Appearing (as sole counsel) for the Information Commissioner in Worcestershire City Council v ICO, a 3-day hearing involving cross-examination of multiple witnesses. Advising HMRC in connection with subject access requests under the Data Protection Act 1998 in relation to high-profile case of “whistle-blowing”. Advising and representing the coach of a leading European rugby team in disciplinary proceedings in relation to allegations of misconduct during a pitch-side brawl.